Xiaomi’s smartphone with the global ROM has finally come to the European market. The Xiaomi Mi 8 Lite is a good and high-quality smartphone that does not burn a hole in your pocket. Read our review to find out what you can expect from this 270-Euro (~$307) device. A competently made midrange phone that tackles everything asked of it in a fair fashion though it struggles to stand out amongst a horde of contenders. Still, it has its charms and it’s still worth a look if you’re keen on a workhorse device or if it appears on special. To me anyway this is a totally new Chinese phone company, I first heard of them a few weeks ago when I received an invite at short notice to their new UK store at Westfield shopping centre, which due to conflicts I could not make, however I was sent their latest phone the Mi 8 Lite. Looking at their website sees they are far more than just a phone company as they are big – like the world’s fourth largest - in Internet, Connected Homes and Software. The Xiaomi Mi 8 Lite sets a very high standard for “affordable” phones. This is a great way to introduce Xiaomi to the UK, as well as your friends and loved ones. The lack of 3.5mm jack is another thing that might steer away some customers, especially since most of the direct rivals haven't jumped on that bandwagon yet. And if you are a fan of MIUI, the feature-rich software would be greatly appreciated. There are plenty of options to play around with, and Xiaomi has a good track record of updating its phones - old and new - to the latest MIUI software version. MIUI 10 is just around the corner. 74% Xiaomi Mi 8 Lite Review – Powerful Midrange Smartphone? Definitely. This handset retails for PHP 13,990 (4GB + 64GB) and Php 16,990 (6GB + 128GB), and we can say that this is a bang for the buck. The Mi 8 Lite has great ergonomics, classy and youthful design, powerful performance for its price, fast charging, and decent cameras. Xiaomi continuously proves that consumers don’t need to splurge huge amount of cash to get the best value. Assessing which of these three Xiaomi phones is the best really depends on what you need. The Mi 8 Pro is technically the best, with the best specification and the fastest performance and highest amount of memory and storage out of the box, but the Mi 8 Lite is significantly cheaper and has a better selfie camera, albeit sacrificing some speed and display quality. The standard Mi 8 is, as you might expect, the best all-rounder, offering the performance, cameras and display of the Mi 8 Pro at a more attractive price, and all you really lose is the in-display fingerprint sensor. ‌We'll bring you more on the Mi 8 Lite once we get the chance to spend more time with it, but first impressions are good. This is a good-looking phone that doesn't feel like it's lacking in build quality. Xiaomi’s been teasing the two phones for quite a bit in their social media channels, though both devices are expected to make their global debut in two days’ time. We earlier reported pricing for both devices through a leaked flyer provided to us, but apparently, Xiaomi says the price isn’t final yet and is still subject to change. So there’s still a chance that the price tags for the 4GB/64GB variant (Php 14,990) and 6GB/128GB (Php 17,990 ) variant of the Mi 8 Lite, and the prices for the 8GB/128GB variant (Php 32,990) for the Mi 8 Pro can still change for the better. In general , based on the price of 1399 yuan (about $203), it is difficult to find an opponent who is comparable to the camera and the face value. The low price but the flagship Smartphone configuration is still the mainstay of Xiaomi phone and this Mi 8 Lite is more promising to lose the “young” taste. Positive: Compact size; light weight; attractive price; nice selfie camera; smart AI mode. Negative: High SAR. Positive: Compact size; light weight; powerful hardware; excellent speakers; good price. Negative: Short battery life. Positive: Elegant design; compact size; large battery capacity; nice performance; good price. 90% Análise: Xiaomi Mi 8 Lite – o melhor smartphone Android na gama dos 200€? 75% Recensione Xiaomi Mi 8 Lite: ottimo, non perfetto! Positive: Compact size; light weight; good price. Positive: Good price; compact size; light weight; beautiful design. Positive: Stylish design; beautiful screen; good price. Positive: Compact size; light weight; beautiful design; solid workmanship; high performance; long battery life; good price. 70% [Recenzja] Xiaomi Mi 8 Lite – firma zaczyna rozumieć swoje błędy! Positive: Compact size; nice performance; good cameras; decent hardware. Negative: No NFC chip. Positive: Compact size; light weight; nice display; excellent cameras; fast fingerprint sensor. Positive: Compact size; light weight; decent hardware; nice selfie camera; good price. Positive: High performance; long battery life; beautiful design; nice display; excellent cameras; attractive price. Positive: Good price; compact size; light weight; impressive design; nice performance; excellent cameras; big screen; decent autonomy; metal case. Positive: Compact size; light weight; low price; beautiful design; solid workmanship. Positive: Solid workmanship; excellent performance; nice cameras; fast charging; nice connectivity. Negative: No NFC; combined slot. Model: The Mi 8 Lite is a 6.26-inch mid-range phone. At a reasonable price it packs capable hardware including a Snapdragon 660 and an Adreno 512 GPU. The 6.26-inch phone measures at 156.4 x 75.8 x 7.5 mm and weighs 169 grams. It has a glass front, a 2.5D-curved back glass and a chrome-colored aluminum side frame. It comes in three color options - Midnight Black, Sunset Gold, and Aurora Blue. The front glass is not curved and www.gsmarena.com finds you might feel its protruding edge along the sides though it doesn't cause any discomfort. They report a screen-to-body ratio of 82.5 %, lack of IPxx certification against water and dust (not to be expected at the phone’s price point) and that the glass back is not only prone to scratches and cracks, but also easy to smudge. www.techadvisor.co.uk finds that the Mi 8 Lite is a 6.26-inch-screen phone in the body of a 5.5-inch model, fitting comfortably in the hand. The Mi 8 Lite runs Android 8.1 Oreo with Xiaomi's MIUI 9.6. www.techadvisor.co.uk thinks that MIUI is quite a departure from standard Android, removing the app tray, reorganizing and redesigning the drop-down notification bar, and reordering the Settings menu. The Lite has horizontally-stacked camera sensors and a smaller notch than the Mi 8 SE. The narrow notch on the front side houses the earpiece, the front-facing camera, the usual sensors, and a subtle LED notification light. The left side houses the SIM/microSD card tray, while volume rocker and power button are on the right side. A SIM/microSD ejection tool (included) is needed to open the card tray. The USB-C connector is on the top side. Unfortunately, the Mi 8 does not have an audio jack, but Xiaomi has included a USB-C to 3.5mm adapter. www.gsmarena.com says the buttons are delightfully clicky and feel quite firm without any noticeable wobble. The phone comes with a rear-mounted fingerprint reader, which is ideally positioned and works flawlessly according to www.gsmarena.com. www.trustedreviews.com says the fingerprint reader is fast. For connectivity the phone supports GSM, 3G and LTE, Bluetooth 5.0 and Wi-Fi a, b, g, n and ac, but lacks support for NFC, which is necessary for making mobile payments. In our review, we compared the Mi 8 Lite to the Garmin Edge 500 navigator and found that the phone can only be used as an occasional navigator. The 6.26-inch IPS display features a 19:9 aspect ratio, a resolution of 1,080 x 2,280 pixels, and a pixel density of 403 ppi. The display is protected by Gorilla Glass 5. www.gsmarena.com complains about poor uniformity of the backlight around the notch and the top bezel. They report a maximum brightness of 468 cd/m², a black value of 0.322 cd/m² and a contrast ratio of 1,453. Furthermore, this online-magazine recommends switching over to the "Standard" mode (average DeltaE of 0.9, maximum DeltaE of 2) in the display calibration menu as it renders colors way more accurately than "Automatic" mode (average DeltaE of 5, maximum DeltaE of 10.1). However, they observed that the maximum brightness will go down to 415 cd/m2 in "Standard" mode and find that the sunlight legibility is satisfactory in default mode. www.trustedreviews.com says, “Colours are vibrant, contrast only perceptibly worse than the best LCDs at an angle in a dim room, and maximum brightness is high enough to make the display readable on a sunny day.”. In www.techadvisor.co.uk’s opinion, the display produces realistic colors, good contrast and strong viewing angles. The Mi 8 Lite uses a slightly older Snapdragon 660 chipset, which came out in 2017. The 14 nm processor features an octa-core CPU with four 2.2 GHz Kryo 260 cores and four 1.8 GHz Kryo 260 cores. www.gsmarena.com did not notice any thermal throttling or overheating even after a few consecutive benchmark tests and say that the performance was as expected from a Snapdragon 660-powered smartphone in view of their benchmark results (GeekBench 4.1 (multi-core): 5894; GeekBench 4.1 (single-core): 1628, AnTuTu 7: 143257; Basemark OS 2.0: 2338; GFX 3.0 Manhattan (1080p offscreen): 22; GFX 3.0 Manhattan (onscreen): 20; GFX 3.1 Car scene (1080p offscreen): 9, GFX 3.1 Car scene (onscreen): 8, Basemark X: 21269). www.trustedreviews.com thinks, “This is one of the best phones available in its class for gaming.”. www.vienna.at reports that the processor gets warm quickly under high load, but the phone never became uncomfortably hot since the processor throttles to constant 80 % after about 2,5 minutes under full load. As for RAM and storage, there are two variants, which are 4GB + 64GB, 6GB + 128GB. Storage can be expanded with a microSD card by up to 128 GB. In our storage benchmarks, the Mi 8 Lite with 128 GB performs as well as the rest of the competition. The phone comes with a 3,350 mAh built-in battery and supports Quick Charge 3.0. However, the included brick and USB-A to USB-C cable only support 5V/2A charging speeds (10 W). Hence, you might want to get a QC 3.0-compliant charger for faster charging. www.gsmarena.com calls the 3G talk (29.59 h) and standby times respectable and reports web browsing and video playback times of 10:24h and 10.15 h, respectively. They summarizes that the Mi 8 Lite sacrifices power efficiency for performance and performs worse than most of its competitors in battery life, but only a few of them feature a powerful chipset like the Snapdragon 660. According to www.trustedreviews.com the device will survive a full day of solid mid-to-heavy use. www.techadvisor.co.uk ran the Geekbench 4 battery test and the Mi 8 Lite recorded 6 hours 22 minutes. Mi 8 Lite features a primary 12 MP camera with f/1.9 aperture, 1.4 µm pixel size, dual pixel phase detection autofocus and 5 MP sensor for depth sensing only. The camera lacks optical image stabilization. Additional settings like HDR, AI camera mode, beautify effect for the portrait shots filters are available. A pro mode allows more control over the camera. www.gsmarena.com finds HDR's Auto mode did not use HDR in most scenes it should, AI covers the very basic and is not as capable as in flagships, and the camera struggles to produce good shots under low-light. www.trustedreviews.com confirms that the Xiaomi Mi 8 Lite isn’t a low-light master with any configuration of modes, but think that it is better than some in this class. In contrast, www.techadvisor.co.uk thinks that the camera’s large 1.4um pixels were able to do a decent job lighting the scene without turning to the flash in low-light. Videos can be recorded in up to 4K at 30 fps. www.trustedreviews.com find that 4K stabilization isn’t very effective, but 1080p stabilization is, dramatically reducing hand judder. The 24 MP front camera uses fixed focus. According to www.gsmarena.com some of your selfies may not come up as sharp as they should be. 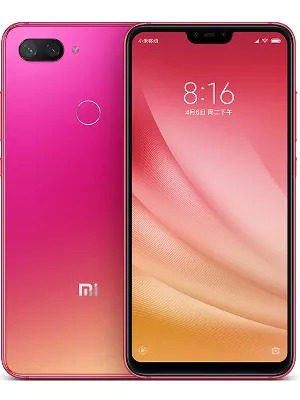 www.trustedreviews.com summarizes, “Considering everything from shooting speed to selfie quality, video capture options and the image quality you can get using the right modes, the Xiaomi Mi 8 Lite is one of the very best sub-£250 phone cameras you can get.” vulcanpost.com thinks that as a point and shoot camera, the Mi 8 Lite actually produced images they would consider very good for what you pay for. According to www.gsmarena.com, the bottom-firing single speaker gets pretty loud. They say that the phone delivers very loud output with perfect accuracy with an active external amplifier. With headphones they experienced a slightly above average degradation with a noticeable spike in stereo crosstalk, some intermodulation distortion and some frequency response shakiness. According to our review the Mi 8 Lite provides a very good call quality. The Xiaomi Mi 8 Lite delivers good system performance and big storage capacity, but its battery life is only average, and it lacks a 3,5 mm headphone jack. In view of its price point, the cameras are good. In www.trustedreviews.com’s opinion, the Xiaomi Mi 8 Lite has unusually good hardware considering its price. Competitors include the Mi 8 SE and the Mi A2, Samsung’s Galaxy A7 (2018), the Motorola One, the Nokia 7 Plus, the Honor Play, the Honor 8X, and HTC’s U12 Life. 79.76%: This rating is not convincing. The laptop is evaluated below average, this is not really a recommendation for purchase.